The simplestand versatile software for highway engineering and design with special features for low cost rural roads and hill roads, tunnels. road widening, strengthening, profile correction, pavement design / rehabilitation, bituminous / asphalt mix design, drainage design, construction drawings etc. 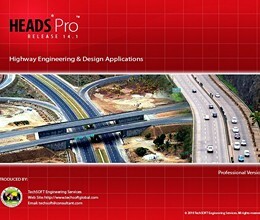 Alignment design for Highways, Low cost rural roads, Tunnels, Railways, MRT, LRT etc. Layered System Analysis for Pavement improvement using Geotextiles, Fiber Glass reinforcements etc. Multi-level Grade separated Interchanges etc. Detailed and well formatted Design Reports and Drawings. Produces LANDXML output for 3D Visualization Drive Through by software UC/winRoad. String Tables with Elevations at Normal Cross fall & Super elevated sections for construction by advanced motor grader and Paver. Co-ordinate Conversion to exchange data between GPS & Total Station. Traverse Survey with String Modeling and closing error distribution. Contouring with user defined intervals and display of Elevations. DTM is accurate & can take up to 300, 000 points. Model Strings may take up to 20, 000 Strings. Conceptualization of Route Alignment on Aerial Photograph / Satellite Imagery. Low Cost Rural Road design using IRC SP 19, SP 20 & SP 72. Optimized road profile design for Exact Quantity of Pavement, Profile correction & Overlay. Design of Hill Roads with Sharp bends and variety of design conditions. Expressway design with Speed higher than 100 KPH following AASHTO. Hydrological design of Highway Drainage. Pavement design & Cost Estimation with Analysis for Unit Item Rates. Asphalt Concrete Mix Design & Quality Control. Auto level survey for Cross Sections and Bill of Quantities. Extended ground in Cross Section drawing to show full Survey Corridor. Built-in CAD engine for viewing and editing drawings compatible to AutoCAD. DXF Plan, Profile & Cross Section Drawings compatible to all CAD software. Long Section Drawing with Alignment & Super Elevation details, even in Pieces. Plan drawings in sheet wise pieces by Sheet Layout. Interactive design for a length of 100 Km in one go (in True Sense). Control on Shifting of Alignment for Tunnel Centre Line. 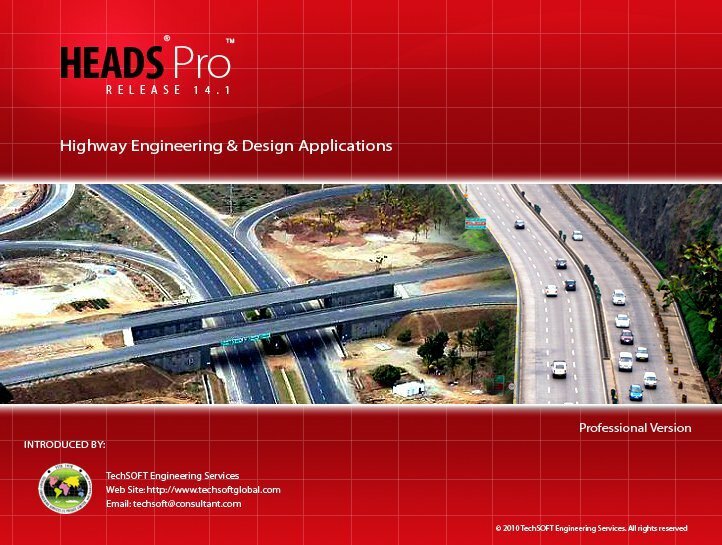 Design interchangeability with other popular Road design software. Exporting LANDXML data for “Drive Through” Simulation by UC winRoad. Straight forward interactive design for Main Alignment & Interchange Loops. Irregular occurrence of Service Roads on either side and change of cross section. * HEADS Pro download link provides trial version of the software. HEADS Pro has been rated 2.3 out of 5 points. A total of 3 votes cast and 0 users reviewed the software. Site3D is a fully featured software product for the engineering design of road systems and housing developments.